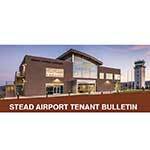 The Reno-Stead Airport Association dues are $20.00 per year, payable each year in January for all members. The RSAA is a registered non-profit organization. The Association dues are used to defray the costs of postage, office supplies, website maintenance and, of course, to permit the annual RSAA BBQ to be held at no cost to the members. If you prefer NOT to use an online membership renewal process, please click here to proceed to the next page in the membership process. Membership in the RSAA is open to anyone. Dues are paid each year in July. The Reno-Stead Airport Association (RSAA) does not use the information that you provide for any purposes other than RSAA official business.